Though shrubs and bushes are used extensively in gardens to produce flowers, trees seldom are considered contenders in this space. Apart from giving shade, privacy and protection, if trees also produce flowers, the aesthetic value of the garden shoots up exponentially. Moreover, numerous garden plants require shade to thrive; the flowering tree takes care of this, too. Take into consideration factors like size of the garden, soil type and climate before you decide on the kind of flowering tree to be planted in the garden. Dogwood trees reach an average height of 15 to 30 feet depending on the variety. Different varieties of this tree produce white, pink or red blooms in spring. The foliage turns brilliant reddish-purple in summer and autumn, followed by red fruits in the fall. Songbirds visit these trees for the fruits. 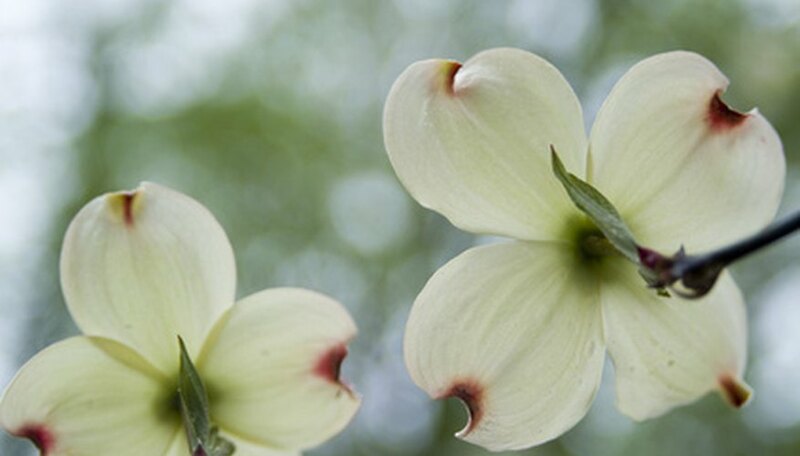 Dogwood grows well in good sunshine and needs a moist, well-drained soil. Flowering dogwood and Kousa dogwood are the two prominent varieties. Magnolia is another flowering tree that reaches a height of 10 to 20 feet, depending on the variety. Tulip-shaped flowers produced by magnolia are fragrant, deep purple-red or creamy white colored, entirely depending on the variety. The bloom occurs from late spring to early fall, giving the garden an attractive look for a wide span of time. Magnolia also bears bright red fruits that attract the birds. This tree requires bright sunlight and well-drained, moist soil. Major varieties of magnolia are Ann Magnolia, Jane Magnolia and Sweetbay Magnolia. Redbud is a beautiful spring flowering tree that achieves a height of 12 to 20 feet. The flowers produced by redbud are rose pink in color. The foliage starts as reddish purple, turns to dark green and finally turns yellow in the fall. Redbud needs good sunny weather and well-drained soil. It requires very little maintenance. The important types are Eastern redbud, Avondale redbud and Western redbud. American hawthorn grows to a height varying from 20 to 30 feet and has an almost similar spread. The tree produces white flowers in late spring. The leaves start as reddish-purple, turn to dark green, then a brilliant orange and finally red or purple in the fall. American hawthorn also produces bright red fruits, which invite a wide range of birds and animals. The tree should be given exposure to sun and can grow in any kind of soil. It does not require much water. Washington hawthorn is one of the best types of hawthorn. Crabapple is a rugged tree growing up to 30 feet in height. Due to its good growth rate, it is one of the most preferred trees for gardens. Crabapple produces fragrant and bright pink flowers. The leaves exhibit excellent colors until fall. Crabapple needs sunshine and well-drained soil. The major types of Crabapple is Prairie crab, Garland or Sweet crab and Southern crab.